Home/Gadgets/Ipad/How To Diagnose And Fix A Slow iPad? Does an iPad really get slow over time? This might be a surprise for you but it’s true that even an iPad can also get slower over time. It is true that Apple produces top of the line gadgets either it’s a smartphone or an iPad but paying more than $1400 for just an iPad doesn’t mean it won’t have any problems and issues. Dealing with slow iPad is a common problem and even if you don’t feel a drastic decrease in speed overnight, after few months of use, if you compare the current speed of your iPad with a brand new model, you will definitely feel that there is something wrong because comparatively, the iPad feels slow. Luckily there are dozens of well-known reasons that can cause slow speed on iPad from an outdated operating system to heavy applications running in the background. Take a look below and get some quick tips on diagnoses and fixes of slow iPad. Most of the time, the slow speed of an iPad is just because of some particular application that you installed. Either the application is too heavy and needs more space on the RAM and more processing speed or it’s just not compatible with the iPad. When you download the applications from Apple store, you usually think that it is compatible with the iPad but that’s not true. There are hundreds of applications that can suit one gadget i.e. a smartphone or laptop but the same application will slow down your iPad. If you find such programs and apps, just remove them from the iPad. This is by far the most common problem with tablets, smartphones and laptops that slow down their processing and overall speed. When you open an application, by default the application is set to keep running in the background. You think that you have closed the application but still, sometimes, it keeps running without showing any sign. You should check the settings of each app to verify if you have allowed it to run in the background and refresh without asking you. This will not only empty some RAM for better speed but it will also enhance your internet browsing speed as the application won’t update itself without your permission when you are connected to Wi-Fi. The speed of an iPad mainly depends on the RAM and processor power but there is something else that you should also consider; internal storage. If your iPad is running low on internal storage i.e. just a few MBs left, this can be the key cause behind slow processing speed. The bad news is that you can’t put a micro SD card to get more space but you just need to remove some files that you don’t need anymore and uninstall the applications that you don’t use that often. 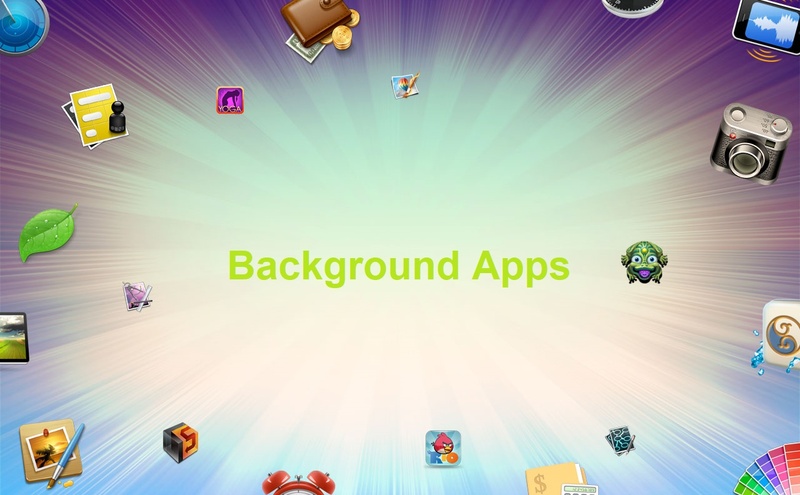 If you have installed wide range of application, good chances are that you will find some that you haven’t used in a while and it would be a good idea to just get rid of them. The same thing can be done with the media files i.e. songs and pictures that you can just delete the ones you don’t need or upload them to cloud storage for some extra space on your iPad. While you are checking the applications and software programs installed on the iPad, surely look for the heavy apps. If an application is just taking few MBs in the internal storage, it won’t need high processing speed but when you install an application or a game that is more than 500MBs or even 1GB, it is surely going to need more RAM speed and higher processing rate. This can potentially take most of the RAM space available thus leaving no room for the other applications and tasks. If getting rid of such a heavy application is not the solution, check for some substitute programs that aren’t too heavy on the RAM. Also, the answer to why your iPad is working so slower can be very simple; an old operating system. You should know that a new operating system not only fixes bugs and other problems but it also improves the overall speed of the gadget. An updated operating system means the processor is optimized for maximum speed and the applications will need less space on RAM to run. Check the settings of your iPad and see if there are available updates that you can install.